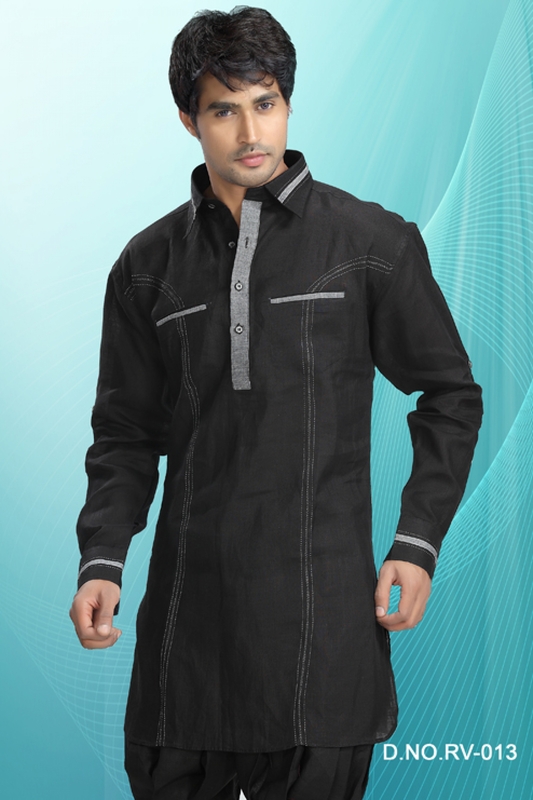 Irresistible Black color linen fabric kurta for men having smart collar style with button adornment. It has 2 pockets and turn-up sleeves. Colors Available.